The Domain Name System is a hierarchical decentralized naming system for computers, services, or other resources connected to the Internet or a private network. 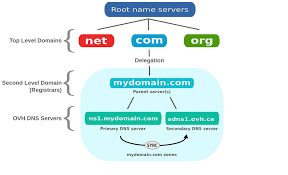 DNS does not stand for Domain Name Server or Domain Name Software. DNS is an abbreviation for the aforementioned system that catalogs every domain and IP address on the internet, including registration information, as well as their relation to other domains and web hosts. The DNS is the central database of the internet, and without it, the internet would cease to exist as we know it. If your domain name is .ng domain name, you would have to remove the registrar lock before you can change the nameservers of the domain. To do this, click on Registrar Lock on the domain management page and disable the registrar lock.